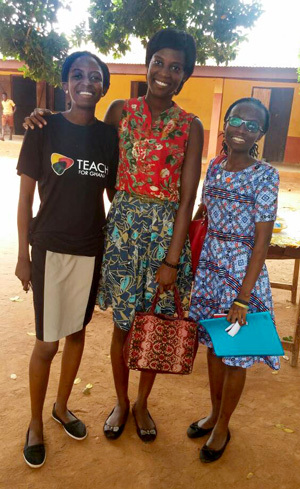 Sparked by their participation in Teach For All’s Global Girls’ Education Fellowship, this summer Teach For Ghana Fellows Emily Emefa Fiankor and Wilhelmina B. Andoh-Kesson launched new projects designed to build their students’ knowledge and inspire conversations about issues related to sexual and reproductive health. Emily teaches science at the Afatsagbleve D/A Basic School in the Akatsi-South District of Ghana’s Volta Region. In Emily’s first year as a Fellow, five girls in her school between the ages of 14 and 19 became pregnant. Two of the girls dropped out, but the rest remained in school. Emily felt that something had to be done to ensure her students had the knowledge necessary to make informed decisions about their sexual health and actions, and, with the support of her headmaster and the help of other teachers, she organized a workshop for 100 students on sexual education including the causes and effects of teenage pregnancy, sexually transmitted diseases, and menstrual health. The workshop was well received by both the school and the students, and there are plans to organize similar programs periodically during the upcoming academic year. Wilhelmina, who teaches English to grades 7-9 at the Gefia D/A Basic School, collaborated with colleagues and other Teach For Ghana Fellows to host a similar workshop, and also invited nurses from the community hospital to lead a session on reproductive and menstrual health. “There was also a session on the value of womanhood to help the girls understand their value—the contribution and influence they can have on their community,” Wilhelmina explained. 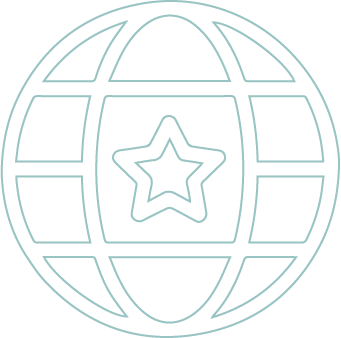 The two teachers are among a group of 33 Fellows from Teach For All network partners in Ghana, Qatar, Bangladesh, Malaysia, Nepal, India, and Afghanistan who participated in the Global Girls' Education Fellowship. The program brought Fellows together via virtual meetings where they learned from and with each other as well as external experts to increase their understanding of barriers to girls' education and build their capacity to find solutions. Emily and Wilhemina agree that the Fellowship broadened their knowledge of issues surrounding girls' education around the world and revealed that issues like teenage pregnancy and early marriage aren't unique to their country. Wilhelmina’s experience teaching in the community has given her a deeper understanding of her students’ dreams and aspirations. She strives to support her students in becoming “bold, fierce, and committed to making a difference in their respective community and taking up leadership positions.” Similarly, Emily wants girls in Ghana “to be assertive in pursuing their dreams, develop a growth mindset, and be equipped with adequate knowledge and resources to make informed decisions about their lives, particularly in the area of sexual and reproductive health.” Both teachers highlighted the importance of empowering girls through education as a critical first step to ensuring they gain the knowledge and support necessary to navigate adolescence and make positive choices about their life's trajectory. 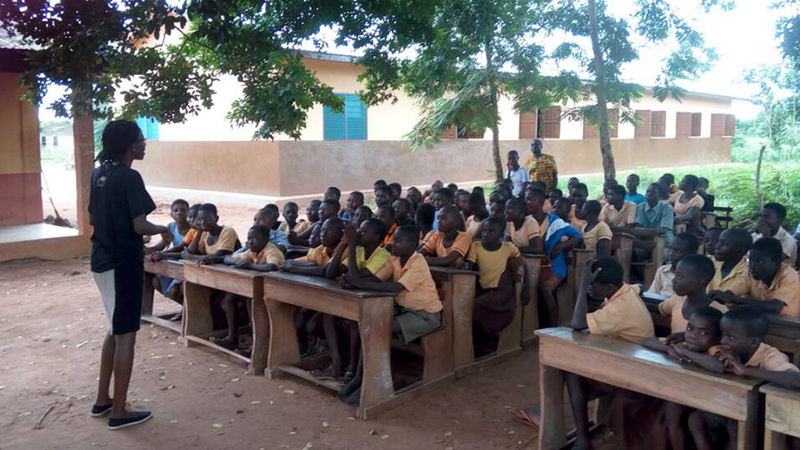 Carolina Ramirez, Chief Program Officer at Teach For Ghana, shared that the Global Girls’ Education Fellowship has had an impact beyond just the Fellows and students who participated. Carolina explained that Teach For Ghana is “trying to move as an organization to give [Fellows] more tools to address the challenges they're seeing” and that the Fellowship has inspired the inclusion of a session on sexual and reproductive health at Teach For Ghana’s most recent Summer Institute, led by Noemi Martin, an alumna of Empieza por Educar, Teach For All’s network partner in Spain, who has worked in the women’s health field in Uganda. The Fellows have also been encouraged to support and train their colleagues in identifying gender biases in the curriculum that could impact girls’ success. Prompted by her participation in the Girls’ Education Fellowship, another Fellow, Iris Mensah, launched Girl Konnekt, an organization working to develop the next generation of women in STEM, specifically ICT and technology. Girl Konnekt was launched at the All Africa Students and Youth Summit, where Teach For Ghana was honored for its work, and where the Minister of Education, the Minister of Youth and Sports, Microsoft Africa, Point View, and others were in attendance. “There are a lot of challenges but it's exciting to see their thinking caps on and how many solutions they're proposing,” Carolina said.